Alsager Civic’s very first comedy nights in 2017 were a roaring success and sold out in advance. As Saturday 17th March is St Patrick’s Day we return with two of Ireland’s funniest, a familiar face from the telly and an award winning compere! Described by none other than Sarah Millican as ‘a very funny man’, Dubliner Caimh McDonnell has firmly established himself as the white-haired Irishman whose name nobody can pronounce. Try ‘Kweeve’ though and all will be well. Caimh recently helped provide the funny on both series of ‘The Sarah Millican Television Programme’ and the SKY panel show ‘A League of Their Own’. When not doing all of the above, Caimh is proud to be ‘The Voice of London Irish’ and acts as the rugby team’s announcer in the Madjeski stadium. 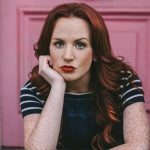 Despite being a relative newcomer Catherine Bohart has seen a rapid rise through the ranks of UK and Irish comedy. In 2016, she was a finalist in both the BBC New Comedy Awards and Funny Women, drawing praise in the final of the former for having “a distinctive voice and a story you’d like to hear” (Chortle) and in the latter for being “pretty much the perfect comedy package” (Beyond The Joke). Her burgeoning broadcasting career has already seen her write material for BBC Radio 4’s The Now Show, The News Quiz, Newsjack and Frankie Boyle’s New World Order. 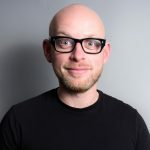 Dan Nightingale worked his way through university as the sound man at a comedy club but being actually on the stage looked like so much more fun.. Fortunately, Dan turned out to be a natural performer and a brilliant compere. Dan mixes cutting observation and raucous gags with high energy audience work and a natural playfulness that engages any crowd. Original, creative and totally unpredictable. Show starts 8.15pm prompt £12 on the door (if tickets left) or £10 in advance.